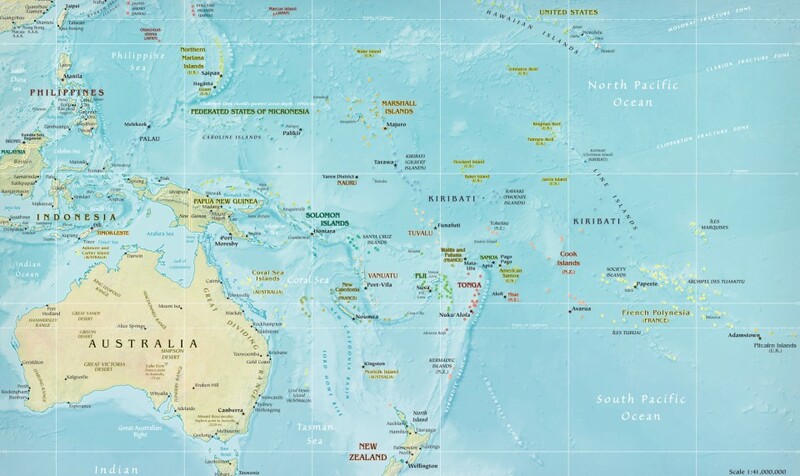 One of the reasons for starting this blog was an interest in exploring the influence of psychoanalytic ideas in this part of the world: Australia and the Oceania region. The advent of the National Library of Australia’s data base, TROVE, and the link to Australia’s digitized newspaper collection has enabled an ease of research by laptop rather than making the physical journey to spend hours trawling through ancient newspapers. How this might shape the way history is developed and written will be interesting to see. In the 1910s and 1920s – the interwar years – in the sprawling country that was settler Australia, with so many people living a long way from anywhere that resembled a city, interest in culture, whether politics, literature, science and philosophy could be hardly restricted to metropolitan newspapers and readers. Regional and local newspapers, depending upon the interests of their editors and readers, reported widely on literary and scientific events and thinking. Local papers generally confined reportage to political, economic and local news with a serial thrown in. With contributions from people with particular expertise, newspapers across the country reflect the diverse interests amongst Australian people. Freud’s name was well enough known by 1938 that the process of his escape from Europe was reported on a daily basis in numerous local papers across the country as well as in the metropolitan and regional press. So too was his death a year later. So what is the result when ‘Psychoanalysis’ is typed into the search engine. A little research was needed. Using the word ‘psychoanalysis’ as my tool, I undertook a little survey of the TROVE digitized newspaper site. I used the year dates: from 1920 to 1929. In this period 1126 ‘articles’ were found from a total of 769 digitized newspapers. The total number of articles concerning psychoanalysis for the entire archive, dating from 1803 to 2007, is 2941. Other words could be used, such as ‘Freud’, ‘Psychotherapy’, ‘Psychology’ and ‘Psychoanalytic Psychotherapy’ and may yield different articles which will add to the store of items available. The point here, though, is that during the early part of the twentieth century news of Freud and his work, transmitted through the print media, reached a far into remote Australia as well as finding a more likely audiences living in the metropolitan areas. Now, to content. Inevitably some writers will be critical of psychoanalysis and its method; others, admiring of Freud and his work wish to recommend it . There was also reportage of lectures and educational events: Workers Educational Association lectures were a major forum for lectures about psychoanalysis. From 1923 a new venture, the formation of the Australian Society for Psychology and Philosophy by University of Sydney’s Professor Sir Francis Anderson began attracting interested and critical readers – also from places hundreds of miles from Sydney. Between August 1923 and March 1924 the Capricornian a weekly newspaper in Rockhampton, a town in Northern Queensland, published four items of over 1000 words centred upon the introduction of the Association’s new journal, The Australasian Journal of Psychology and Philosophy. and within this, exploring responses to the new science of psychoanalysis. Not so the the Newcastle Morning Herald and Miner’s Advocate, a regional paper serving Newcastle, north of Sydney. Nevertheless who, from the perspective of early twenty-first century urban Australia, would guess that at this time in the early 1920s, that in a place as remote and as rugged as the ‘frontier’ mining town of Kalgoorlie in Western Australia, that the topic of psychoanalysis would have even rated a mention? Kalgoorlie, some 370 miles from Perth, was begun as a miner’s camp in 1893 when gold was discovered. It was declared as a town in 1895. It was and remains small enough population-wise. Wikipedia, that ever reliable source, suggests that Kalgoorlie’s population was about 2000 by 1899, increasing to 6000 by 1903, or so. Census data from the 2011 collection show Kalgoorlie’s population to be 13,949. This little film compiled from photographs at Western Australia’s State Library with commentary by Don Pugh, is a glimpse into the conditions in which the early settlers were living. Perhaps it is reflective of the randomness and the sporadic way in which psychoanalytic ideas were spread globally. Or perhaps it shows how dispersed the population was as well as the reliance of many people upon the written word for information about the world about them. In the 1920s newspapers were the main form of mass communication, if not for many people, the only form. Fortune seekers on the Kalgoorlie goldfields may also have been medical practitioners or lawyers or indeed, Oxford Dons before going off to try their luck. Between 1920 and 1929 Kalgoorlie’s daily, the Kalgoorlie Miner, published twenty articles where psychoanalysis was a key work, if not subject. In contrast with the metropolitan papers, The Sydney Morning Herald and Melbourne’s Argus which published 65 and 46 items, this is a surprisingly high number. South Australian daily, Adelaide’s Advertiser published 92 items during the same period while Perth’s two papers, the West Australian and the Western Mail published 90 items between them during the same period. One would expect more articles on the subject to have been published in the larger metropolitan areas of Sydney and Melbourne, both, at one time, Australian government centres. The material is not lightweight. On 1 February 1921 readers of the Kalgoorlie Miner found this little item headed, “What Psychoanalysis is Doing”. Here is the full text. Since Freud began his searching and patient investigation of the unconscious mind, over twenty five years ago, a constantly increasing number of psychologists, mental physicians, and educational reformers have found it necessary to reconsider a number of problems associated with the conscious activity of the mind in health and disease. Psycho-analysis, as practised by ardent and highly-qualified physicians in military and civil hospitals during the war, relieved a very large number of sufferers from states of morbid dread, acute mental depression, loss of memory, and obsessional ideas. The treatment provides a means for which physicians have sought for generations, and the proof of its efficacy is shown to-day by the host of people who have been released from some of the keenest emotional torture experienced by humanity. At a period in civilisation when the difficulty of adjustment to conditions that conflict with deep primal instincts induces an enormous amount of nervous and mental disturbance, psycho-analysis brings a healing boon to mankind. The menace to mental sanity, and frequently the physical health, is not invariably present in the consciousness. It was through an analysis of a patient’s unconscious mind, as revealed in dreams, that Freud, became deeply impressed by the part that the unconscious plays in the causation of hysteria, abnormal fears, and impulsions of a morbid character. Psycho-analysis, as Dr. H. Coriot says, ‘bears the same relation in all its principles to the human mind, and to social consciousness, as bio logy does to the organic world.’ Many difficult social and moral questions become plainer through a knowledge of the unconscious mind. Psycho-analysis supplies an explanation for forgetfulness, slips of the, tongue and the pen, and many of our puzzling weaknesses and strange deep-rooted prejudices. It is not possible to describe the technique of the system in a few words. The cure of mental illness comes through ‘transference, a feeling of acknowledged sympathy towards the physician such as is noted in all medical practice when the patient relies on the wisdom or the doctor. This is not ‘falling in love with the doctor.’ as suggested by some critics. Any demonstration of that kind would put an end to the treatment. I recommend interested persons to read ‘What is Psycho-analysis?’ by Dr. Coriot; ‘The Freudian Wish’ by Holt; and ‘Man’s Unconscious Conflict,’ by Dr. Lay. Perhaps it should not be so surprising that such interest and vigorous thinking about intellectual and cultural issues is so easily demonstrable at this time in Australian history. Or probably anywhere for that matter. But Australia at this time had just dried the ink on its own constitution signed in 1901. It was leading the world in some political and social spheres. White women had gained the right to vote, beginning in 1895 in South Australia with New South Wales Women achieving this in 1908, well ahead of the United Kingdom where women’s suffrage was not achieved until the late 1920s. It’s welfare reforms, particularly in the field of state children, were well regarded. From the late nineteenth century, in several states the ‘boarding out’ of state children was internationally recognized as the ‘Australian System’. In 1916 workers in Victoria had won a long and hard battle, commenced in 1856, for the 8 hour working day: 8 hours work, 8 hours sleep and 8 hours leisure and would be achieved nationally during the 1920s. Some interesting research is yet to be done. Edwin B Holt (1915) , The Freudian wish and its place in ethics, New York, Henry Holt and Company. https://archive.org/stream/freudianwishitsp00holtiala#page/n1/mode/2up (accessed 18 August 2014). Finding Dr Clara Geroe: Dr Harry Southwood Psychoanalyst, South Australia. Several accounts of Dr Clara Geroe, Australia’s first Training Analyst, have appeared in the public domain during the last thirty years. Two of these are oral history interviews with Dr Harry Southwood, the first and, for some time the only, psychoanalyst in Adelaide South Australia published in 1994 and, in 1995, a similar interview with Melbourne based Dr Frank Graham. Both were undertaken by Dr Wendy Brumley and published in the Australian Journal of Psychotherapy as was Deidre Moore’s Memoir of her analysis with Geroe, in 1998. This was also published in the British Journal of Psychotherapy in 1999. These impressions of course add to an emerging portrait of Geroe in addition to that provided by her son, George Geroe and in the memories of those who were either her patients or supervisees. While trawling through archival material in the State Library of South Australia I came across another oral history interview, this time undertaken by Dr william Andrew Dibden as part of a larger project on the history of psychiatry in South Australia. I have blogged about this previously here. That post mined Dibden’s interview with Dr Harry Southwood to introduce ‘Dr Charlie Winter’, a German doctor whose training had included analysis with German Psychoanalyst Hans Sachs. In this post I am picking up the threads of this same interview to provide another glimpse of Clara Geroe. First, though, I will follow Dibden’s process as he begins tracing Southwood’s career. The interview reads as a meeting between two old friends and colleagues who together have lived the evolution of psychiatry; from the days, said Southwood, when ‘the word “psychiatry wasn’t known. I never heard the word”Psychiatry” in 1939. I might have read it, but there was no Psychiatry in Australia”. Southwood became interested in ‘psychiatry’ when he attended lectures in psychological medicine given by a Dr Rogers, commonly known as “Daddy Rogers”, who lectured in forensic medicine. ‘Not’, said Southwood, ‘Psychological medicine’. He continued. ‘He was one of those traditional gentlemen aristocracy doctors of the city of Adelaide and he had a private practice which was, I gather, largely what we’d call today ‘psychiatric’. Southwood may have been referring to Richard Sanders Rogers, listed in the Australian Dictionary of Biography as an ‘orchidologist and physician’, born in Adelaide in 1861 and who died in 1942. Upon reading the entry in the Dictionary of Biography one learns that after completing an undergraduate degree at the University of Adelaide Rogers qualified in medicine in Edinburgh and returned to practice medicine in Adelaide. He was a consulting physician at the Royal Adelaide Hospital from 1897. A member of the South Australian Medical Board in 1910-40, he was president in 1932-38. Rogers was the first superintendent (visiting) of Enfield Receiving House (1922-36), superintendent (visiting) of Northfield Mental Hospital (1929-36), and honorary consulting psychiatrist to all State mental institutions (1939-42). Southwood graduated in medicine, became a General Practitioner in a small practice and subsequently gained a Bachelor of Science – a way of increasing his psychological knowledge. The course he completed combined physiology and psychology. He was appointed as a Medical Officer at Enfield Hospital in 1939, just before the commencement of the war and was able to combine this with private practice. He became interested in ECT and built his own machine – ‘originally made out of a gramophone’. trying to understand just how it was [the patient] got into the mess they were in…It was simply the idea that of we could understand all about it, we could find a better way of coping with whatever the problem was. And they were all fairly simple things, looking back on them. People would never come to a Psychiatrist those days, I suppose. They weren’t going to a psychiatrist then. They were only going to a GP because they had headaches, or they couldn’t sleep, or they had indigestion or something. And it was only talking to them and finding out that perhaps they were more worried about their mother or worried about their husband, or worried about because they were frightened of getting pregnant, or whatever it might be. That’s where I was at at that time. I understand that analysis begins from the moment of one’s first contact with one’s analyst…I wrote to you a year ago and haven’t heard from you since. I presume that has caused [some analytic crisis]. I would be interested to know if there is any prospect of a reply’. characteristic of Clara – she wouldn’t write for a year, then suddenly she’d ring you up and make you think it was an immediate crisis. Anyway she rang up and said she was sorry she hadn’t answered my letter. I think her system was not to answer anyone’s letters but if you wrote two or three times she’d think you meant business. Anyway we eventually got into communication and I…went off to Melbourne and started my analysis with her. At this time training was not well organized Southwood explained. The Melbourne Psychoanalytic Society was a ‘sort of unofficial branch of the British Society. But it was after the war and everything was chaotic and so on’. Subsequently Southwood had supervision with Clara Geroe. ‘I used to analyse someone in Adelaide as best I could and I’d take my notes across to her every month or so. And we’d have long talks’, discussing all that had transpired between himself and the patient and what he did and should have done. His dated his training years from 1946 to 1953 and was eventually made an Associate Member – of what is not specified in the interview, perhaps the Melbourne Institute of Psychoanalysis. He was, he recalled, the first to achieve this. Frank Graham, another doctor, who was Melbourne based, followed. Harry Southwood with Wendy Brumley (1994), Interview, Australian Journal of Psychotherapy, Vol.13, Nos 1 and 2, pp. 1-19. Frank Graham with Wendy Brumley(1995), Interview, Australian Journal of Psychotherapy, vol. 14, Nos 1 and 2, pp.1-14. Deidre Moore (1998), A memoir of my psychoanalysis with Dr Clara Geroe, Australian Journal of Psychotherapy, Vol.17, Nos 1 and 2, pp. 178-191. (1999) British Journal of Psychotherapy, Vol. 16, No.1, pp.74-80. COPYRIGHT… Christine Brett Vickers This piece is entirely based on my research. You are welcome to use it with the appropriate acknowledgement. During the last twelve months the Freud Conference committee have developed a Blog, another WordPress Blog : The Freud Conference which provides details of speakers and interests but also publishes material associated with the speakers and their interests. It’s worth going over and having a look. The theme for next year’s conference is not clear but two speakers, Dr Marianne Leuzinger-Bohleber and Dr Werner Bohleber from the German Psychoanalytical Association will be coming. Both are regarded as two of the world’s foremost clinicians, thinkers, researchers and authors on the theory and treatment of people who have suffered catastrophic trauma. Their work perspectives from the fields of psychoanalysis, history, philosophy and the neurosciences. Dr Marianne Leuzinger- Bohleber is a training analyst, former chair of the Research Subcommittees for Conceptual Research and also a member of the Swiss Psychoanalytical Society. She is vice chair of the Research Board of the International Psychoanalytical Association, Full Professor of Psychoanalysis at the University of Kassel and head Director of the Sigmund Freud Institute Frankfurt/Maine. Her main research fields include epistemology and methods of clinical and empirical research in psychoanalysis, interdisciplinary discourse with embodied cognitive science, educational sciences and modern German literature. Dr Werner Bohleber is a training analyst in private practice in Frankfurt and Main, Germany and a former President of the German Psychoanalytical Association (DPV). His main area of interest is about trauma in both the individual and wider social sense, terrorism, right wing extremism ans anti-Semitism and the consequences of a particular history with the Nazi era of German National Socialism. Interested in the welfare of children, he studied adolescence, identity and the transgenerational consequences of World War II on children’s development. In 2007 Werner won the Sigourney Award which recognizes distinguished contributions to the field of psychoanalysis. As usual there will be plenty of time for discussion and conversation. It is one of those rare events, these days, which eschew the ubiquitous parallel sessions and twenty minute papers. Anyone who is interested in is welcome to attend.The conference will be held on Saturday 16 May 2015 at The Melbourne Brain Centre in Melbourne’s Royal Parade, Parkville, within walking distance of the cafes and boutiques of Lygon Street and a short tram ride from the city centre. For further enquiries contact Christine Hill, christine.hill@monash.edu; mobile: 0411 556 205. In her 2005 book, Freud in the Antipodes,, Joy Damousi writes of the visit of the American Psychiatrist, Dr Anita Muhl, to Australia from Feruary 1939 to the end of 1941, to provide education and consultation about human behaviour and relationships to professionals and lay people. Damousi’s analysis concerns Muhl’s role as a ‘listener’ as people either poured out their hearts to her sometimes in long letters, or curious, sought Muhl’s opinion on about an aspect of their lives – whether about a dream or a difficulty they were having. Damousi’s thesis, that this reflected the development of a ‘listening culture’ co inciding with the emergence of Freud’s ideas in the early decades of the twentieth century, is developed here. Upon looking at the very rich archive of her visit, it becomes clear that Muhl’s three years living in Melbourne attracted considerable interest from groups and people who were interested in the developing mind and were seeking ways in which to further that understanding. Muhl was not the first international expert in child development and psychology field to spend time in the country. Susan Isaac’s six week visit to Australia in 1937, as a speaker at the New Education Fellowship Conference, had put a face to the author and magazine columnist expert on child development. And since the early 1920s psychology courses at the universities of Sydney, Melbourne, Queensland Adelaide and Western Australia, all included a strong component of psychoanalysis in their psychology or education programs. Looking through the archive the question about where to find help for psychological distress and from whom to seek it, was a common question in the letters from the public – that have been included on the file. Some writers stated explicitly that they had found no one able to help them. Part of the the agreement made for Muhl’s visit was that she was not able to practice. Her focus was to be teach, lecturing and consultation. Muhl’s visit also intersected with the arrival of Australia’s first training analyst, Clara Lazar Geroe, in March 1940 and the formation of the Melbourne Institute of Psychoanalysis in October that year. Geroe, too, was to find a sophisticated and receptive audience. Muhl’s visit was at the invitation of Una Cato, the daughter of philanthropist Frederick Cato, who had made his fortune as a grocer. The idea of a visit was developed between Una Cato and Anita Muhl during the latter’s stay at the Cato residence during the latter part of 1937. At this time she was wending her way back to the United States after a prolonged world tour. Muhl subsequently related that when Cato suggested she return for a tour of lecturing and teaching, she had replied that she would come for three years, all expenses paid. Cato had the means to enable this. First Cato did her research, ascertaining the degree of interest in a possible visit from Muhl from amongst the medical. legal, education, medical and psychological professionals. Amongst the people she met with during March 1938 were psychiatrist, Dr John Williams, the educators, Christine Heinig and Kenneth Cunningham, the philanthropist, Sir Herbert Brooks, British Medical Association President and paediatrician, Dr Kingsley Norris and Mrs Rapke, whom Cato listed as ‘Magistrate at the Juvenile Court’. At this time Julia Rapke, well known in feminist circles, was forming the Women Justices Association of Victoria. Some were enthusiastic, without knowing much about the subject. Others were more circumspect. Christine Heinig wondered about Muhl’s training: was she familiar with the work of Melanie Clyne (sic) she wondered? Others checked her qualifications while remarking on her good sense, sanity and tact – observations made during her short visit in 1937. Cato was able to gain support from these senior people, providing assurance Muhl would not be practising psychiatry with patients during her visit. In turn they wondered what venue would be best for her. And she met with people at the university. An honorary post meant she would work for free, one consultant noted. A university appointment would be due recognition of her qualities and skills, another noted. In the end Muhl retained her independence. She took up residence in a building called Kia-Ora, along St Kilda Road. Outside the trams rattling by her doorstep provided access to the city. Under the heading, ‘Director of the Association for the Understanding of Human Adjustments’. Muhl made herself available for lectures to women’s auxiliaries, schools, medical people, nurses and legal practitioners.Nursing groups who invited her to speak to them more often than not chose to hear Muhl’s thoughts on the serious matter of Mental Hygiene rather than the option she provided, an account of her visits to India or Iceland. Women’s auxiliary groups fundraising for hospitals, mental institutions and welfare organizations sought her out for lectures; she lectured to social workers, psychologists, teachers and educationalists, probation officers, and held reading and discussion groups for women doctors. Members of the (male) medical fraternity also sought her opinion and invited her to lecture to them. 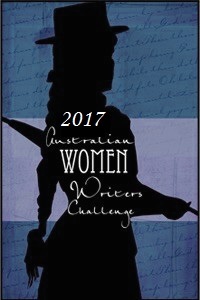 She provided pieces for the Women’s section on the Australian Broadcasting Commission and negotiated her way through Melbourne Society. She was able to say ‘no’ to those who wished to use her to prop up their social status; and to invitations she considered irrelevant to her purpose. At the same time she seems to have gone out of her way to oblige – for example, accepting an invitation from a newly formed mother’s group at one of Melbourne’s maternal and child health centres. As news of her presence and knowledge spread people wrote to her about their problems. We do not know how many people wrote to her. The letters that remain are remarkable for their thoughtfulness as writers puzzled over their problems and invited Muhl to puzzle with them. One, written by Rose Currie in late 1939 provides a glimpse of the hardships and anxiety experienced by women living in isolated places. It also suggests the mental effort needed as people sought to understand their minds. I am no longer young and I am a daughter of pioneer parents, on land, in Gippsland. I wonder if your ‘Mental Hygiene’ would conquer a disability such as emotional tears? For many years I was associated with public life. I still am associated with local affairs, and a struggle with tears is a perfect nuisance in some circumstances. It is not that I have not, and do not try to overcome this disability. It cramps one’s style greatly. I have thought it is because of the great stress of pioneer days on the land, among the tall timbers, which my mother experienced. Fear of Bushfires in summer, Storms in winter and all the anxieties associated with her young family and dangers with stock, etc. I would appreciate greatly your opinion if fears in a mother can be transmitted to a child, and, if, even in middle age, it can be overcome by Mental Hygiene and Prayer? Rose Currie had heard Muhl read the Prayer of St Francis of Assisi during one of her radio broadcasts. Could she have a copy? Muhl was happy to oblige. In her letter to Currie she assured her that infants did, indeed, pick up upon and reflect mother’s moods and state of mind. Will you let me know if your Association deals with individual problems in psychological neurosis and maladjustment? Mine is a problem of some five years standing – a psychological ‘hold-up’ in creative work following a period of tragedy and manifesting itself in severe physical illness whenever I try to overcome it and I feel that modern knowledge and common sense should overcome it but it is beyond me unaided. My chief difficulty in this state is that I do not know whom to consult and I know it is no job for a layman practitioner. If such individual cases are outside the scope of your distinguished work will you let me know of a specialist here (in Melbourne) whom I could consult? Muhl replied she was unable to practice and recommended Dr Alice Barber or Dr Selby Link as possibilities. In a sense Muhl’s visit, to educated and consult was timely. If the two letter writers are any reflection of the public at that time, both were groping towards the understanding of something within themselves, perceived, but hard to grab, was moving them. Perhaps they were aware of Freud’s theories of repression from reading and listening to radio broadcasts they felt free to admit that understanding was beyond their conscious awareness. Muhl was the expert where no other could be found. Joy Damousi, Freud in the Antipodes: A Cultural History of Psychoanalysis in Australia, Sydney UNSW Press, 2005. Dr Anita Muhl Correspondence 1939-41, MS 11459. State Library of Victoria. Letter from Rose Currie, 10 October 1939, Anita Muhl Correspondence, MS 11459, Box 1765/6, State Library of Victoria. Letter from Celia Albrey, 5 January 1940, Anita Muhl Correspondence, MS 11459, Box 1765/1, State Library of Victoria.